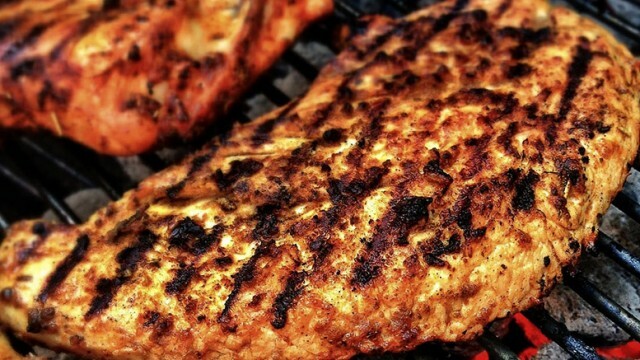 Grilled chicken, Shish tawook, and French toast are among the top 10 most popular foods in Paterson this year, according to data from mobile food-ordering firm Grubhub. President Donald Trump signed legislation into law that will posthumously honor Larry Doby with the Congressional Gold Medal, Congress’ highest civilian honor, for his role in breaking the Major League Baseball color barrier. Christmas came early for Brian Youssef. On Friday, the Garfield resident, who served three tours with the Marines in Iraq, received a refurbished 2017 Chrysler Pacifica, 5,000 miles on the odometer, from Dynasty Auto Body in Paterson. Hometown baseball legend Larry Doby received the green-light from the U.S. Congress to posthumously get the Congressional Gold Medal. Police officers raised $21,500 through their “No-Shave November” initiative to help children battling cancer. On Wednesday morning, the funds were donated to the St. Jude Children’s Research Hospital. The board of the Boys & Girls Club of Passaic and Paterson has unanimously picked Wendy McGuire as its new chief executive officer.